As the industry of online gambling grows and expands in the countries of Europe, America still hasn’t decided whether to give it a go. 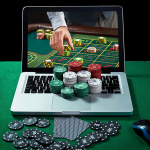 The gaming companies and online casino operators have been fabricating several ways in which to deliver the most exciting, thrilling and fun games in the comforts of the enthusiast’s home. 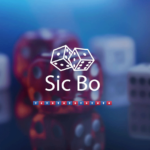 As technology and gaming innovations grow with superb graphics and added features to keep the boredom away, other developers and online casino operators now have an answer to those who crave for real and live online casino interaction without the long drive or the hassle of going to a land-based casino. 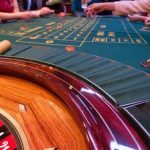 Now, in Europe, the classic games of Baccarat, Craps, Blackjack, Roulette and other popular casino games will be served by selected online casinos on a live dealer program. It’s utterly undeniable that certain parts of Europe have citizens who play online casino and no longer bother with real human interaction. They choose to deliberately lock themselves up in a stupor of program-manipulated games. Such effects and non-exposure to another human being may have adverse effects on the well-being of a person. With Live Dealers, these players, even if they are playing in a basement, can still have the convenience of interacting and socializing with a live dealer. This will also guarantee that online casino players will be receiving the same fair and proven standard process of gaming which will be consistent with the Live Dealer online casino games. In Italy, they are enjoying the availability of having a live poker dealer. Italy is one of the first countries to introduce such a feature in one of their online poker sites and now the others are now following. Live dealers will, of course, be speaking in the native tongue of the country they are serving in. The feature would stream a live video of the dealer so the player can see both the game and the dealer at the same time with the environment of a land-based casino, giving it a genuine feeling of realism.